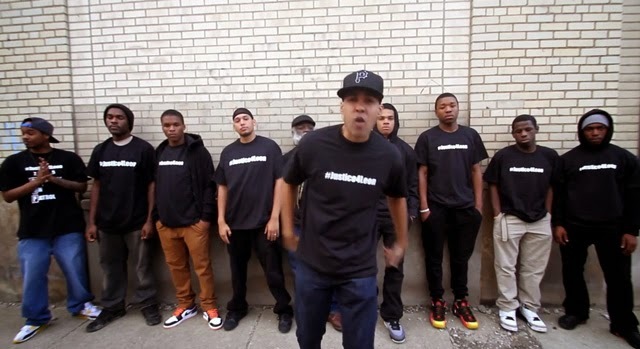 Jasiri X, the more important Hip-Hop artist on the scene right now in my opinion, has a keen ability to release tracks at the right moment. It's not that he's an "opportunist" in the weak sense of the word, but rather he's always in search of teachable moments to capture the attention of the people. What makes his rhymes so soul-stirring is the fact that he's LIVING this. Meaning, he's not spitting hollow bars in the booth. He IS the bars he drops. He IS an activist that's activating the masses to think, organize and act. Sometimes we forget that in order to build up a solid brand, you have the BE the brand. This is what sets the the brand of Jasiri X apart from the others: His words are congruent with his works. That makes him a rare jewel in Hip-Hop right now. This latest release, America #NeverLovedUs, is a continuation of lyrical teachable moments with imagery that drives the point home. "I know, with the recent run by the USA in the World Cup and the 4th of July coming up, people are feeling real patriotic. Sadly, as demonstrated by the recent death of Denzell "Jaba" Curry, the lives of people of color are still not valued, " said Jasiri X. 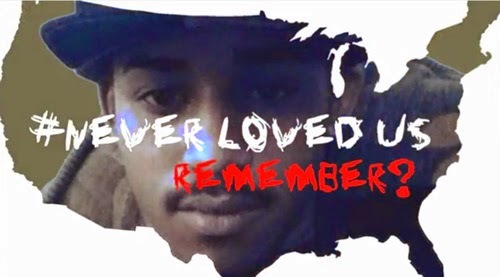 "Inspired by the Dream Defenders #neverlovedus campaign, I decided to speak on these recent cases of American injustice over Drake's Worst Behavior instrumental."